Is MiG developing a lightweight fighter at its own expense? Russia will soon start developing a prototype of an advanced lightweight fighter jet to supplement fifth-generation T-50 aircraft, Deputy Prime Minister Dmitry Rogozin said 11 December 2013. The new aircraft is expected to be cheaper to produce and easier to maintain, but should also possess combat capabilities and performance characteristics comparable with those of heavy-class aircraft. “The development of a light-class fighter has been included in the current arms procurement program. It will be created,” said Deputy Prime Minister Dmitry Rogozin, addressing the lower house of parliament. Rogozin, who oversaw the defense and space industries, said light-class fighters were in greater demand abroad, compared to more advanced heavy-class aircraft, such as Su-30 or the planned T-50 fighter jets. Russia was developing the heavy-class T-50 multirole fighter aircraft, also known as PAK-FA, which will be the core of the country’s future fighter fleet. Rogozin, who first voiced the idea of developing a second type of a fifth-generation fighter in February 2012, said that Russia has always had at least two types of tactical fighters that in general supplemented one another. The latest example is a MiG-29/Su-27 pair. Rogozin did not specify which of Russia’s two main designers of combat jets – MiG or Sukhoi – will be assigned the development of the future light-class fighter. In February 2017, the French magazine Air & Cosmos published projections of a promising light multifunctional front-line aircraft (LMFS) , the development of which is allegedly led by RAC MiG JSC. Judging by the image, the aircraft would have an aerodynamic "duck" scheme. The text indicates the maximum take-off weight of 25 tons and a speed of 1.8 - 2 Mach, flight range up to 4000 km. The engine is VK-10M developed by the Klimov design bureau with a load of about 10 tons each. Recall that the MiG-35 has a maximum take-off weight of 29.7 tons, a maximum speed of 2,700 km/h at altitude and a range without refueling of about 3,500 km. Work on the creation of the fifth generation fighter began in the Soviet Union in the late 1970s, even earlier than in the United States engaged in the creation of an F-22 fighter. Even then, in general terms, it became clear how this aircraft should be. The basic requirements were reduced to five points: the machine must be multifunctional and super-maneuverable, have low visibility, cruising supersonic flight speed and the internal suspension of the guided weapon. Development of promising technology engaged OKB. A.I. Mikoyan and OKB im. P.O. Sukhoi, and as a result, MiG 1.44 and Su-47 (S-37) projects appeared. Work on the new fighter on the MiG was not easy: during the design, model testing, changes were made to the design. The result of many years of work was the prototype plane embodied in the gland, which, due to financial difficulties, took to the air only on February 29, 2000. Unfortunately, the matter did not go beyond several flights. The problem was that after 1991, the entire Russian military-industrial complex “drove” into a deep crisis, and if the US government continued to invest billions of dollars in the creation of a fifth-generation fighter, in Russia this program was completely discontinued. No design bureau is able to pull such a project on its own, and the resolution on the establishment of the PAK FA, issued in 2002, finally buried MiG 1.44. Discussions around this project of the MiG corporation had been going on for a long time, but the latest surge in speculations on the status of the program occurred at the end of December 2013, when representatives of MiG in an official statement said that the only flying prototype of the fifth generation MiG fighter 1.44 will be mothballed and sent to storage in the hangar of the LII named after M. M. Gromov. To date, the prototype has made only two flights, both in 2000, and has since been used as a working model in the development of the T-50. The decision to preserve MiG 1.44 instead of taking it apart, sending valuable parts for recycling, apparently, was of considerable importance. After all, this was how the MO decided to do with an experimetal Tu-160, which was the first Soviet supersonic bomber capable of carrying nuclear weapons. “This is a curious choice,” some Russian analysts of the aerospace industry say: “Spare MiG 1.44 and put the Tu-160 into the wreck, despite the fact that the program for creating a promising bomber PAK-DA has advanced further than the program of a light promising fighter, and he enjoys greater support from the Ministry of Defense and the Air Force of the country. " The preservation of MiG 1.44 may be an indication that somewhere in the Defense Ministry and the Air Force they want the MiG designers to work on an aircraft of a new generation - “in case the T-50 cannot produce enough or its production lags far behind from the schedule,” according to a Russian specialist in the aerospace industry. Representatives of RSK MiG still refuse to comment on plans for the MiG 1.44 flight prototype, as well as four unfinished gliders of the same program that are located at the Sokol aircraft factory in Nizhny Novgorod. In November 2006 it was reported that the Russian Air Force had made an unexpected shift in the priorities for its future fighter, with the service will back the simultaneous development of two programs for a fifth-generation aircraft. The PAK FA medium-weight fighter program, which had been underway since 2002, was joined by MiG's lighter-weight aircraft project. In addition to the goal of winning domestic orders, MiG's light multi-role fighter, built on the company's earlier experience with its MiG 1.44 program, also may attract India as a co-developer and future customer. In April 2002, the Russian military chose Sukhoi's T-50 proposal in the fifth-generation fighter contest - which was codenamed the Perspektivniy Aviatsionniy Kompleks Frontovoi Aviatsii (PAK FA), or future tactical aviation air system. The Sukhoi T-50's rival in 2002 was the MiG design, the exact designation of which is classified. Later, when MiG Corp. decided to continue this program, it received the codename Liogkiy Mnogofunktsionalniy Frontovoi Samolyot (LMFS) or Light Multi-role Tactical Aircraft. MiG Corp. did not accept defeat in the contest against Sukhoi. In 2005 MiG's LMFS project came out of the shadows again. The Indian Defense Research and Development Organization (DRDO) and Aeronautical Development Agency (ADA) started analyzing the development options for a home-grown fifth-generation fighter, called the Medium Combat Aircraft (MCA), which was a twin-engine version of the its Light Combat Aircraft (LCA) Tejas fighter. 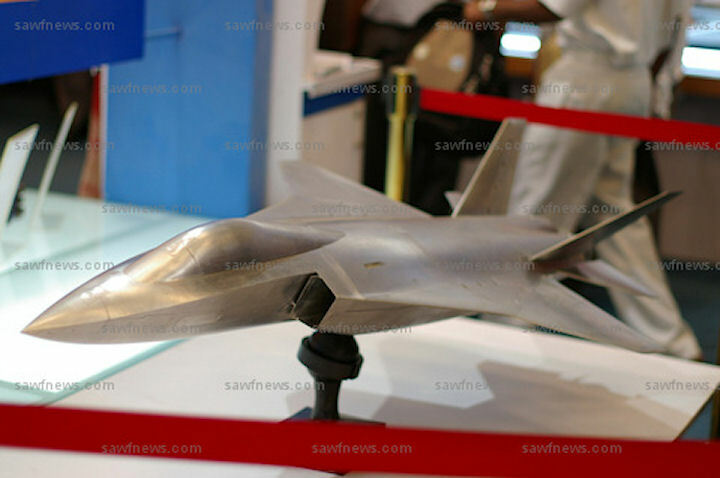 After a bad experience with the LCA, India sought a partner in Russia for the MCA program, which eventually resulted in the joint development of the Sukhoi T-50. A great advantage of the MiG project is the fact that its design and technical parameters are significantly different from the Sukhoi T-50. As a result, the market does not have to choose between an "either-or" situation, and both aircraft can find their place, depending upon the needs of potential export clients. The LMFS will be about 30% lighter than the T-50. According to approximate assessments, the T-50 would have a normal take-off weight of 21 tons, which places it between present MiG-29 and Su-27 fighters - whereas the LMFS is likely to weigh 15 tons. Possibly, the LMFS will retain the delta canard configuration of the heavy MiG 1.44 prototype. In April 2006, the St. Petersburg-based Klimov Company announced that it had started design work on a new engine for the next-generation lightweight fighter being developed by MiG Corp. Although MiG has yet to define all of its requirements for the future engine, Klimov representatives said their powerplant will have increased thrust, a vectoring nozzle and modular design. 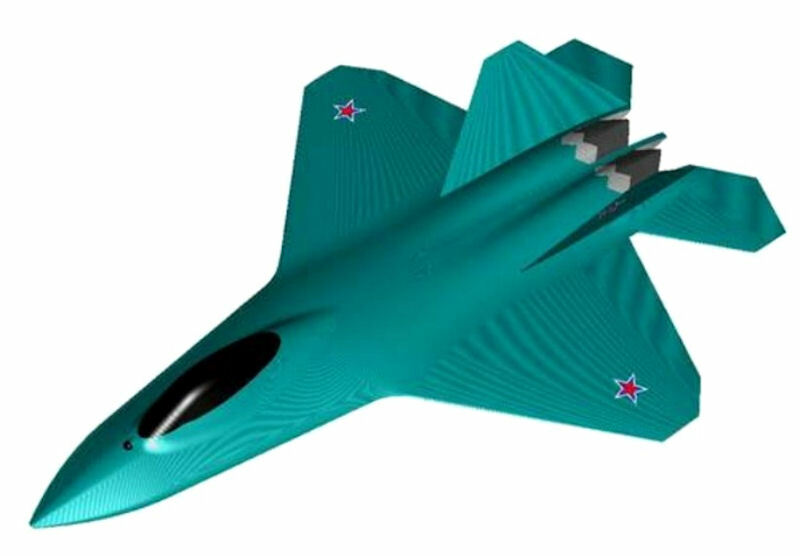 Russian Aircraft Corporation (RSK) "MiG" is working on lightweight fighter of the fifth generation, but does not have a corresponding order, CEO Sergei Korotkov told TASS at the Le Bourget air show 18 June 2015. "Order this plane we do not yet have. But we continue to work. We know that the market for such a fighter is quite capacious in the world", - he said. The CEO said that there is "a very large number of our aircraft" MiG-29 in the world which "need a replacement." RAC "MiG" based on the prototype of the MiG-1.44 is developing another prospective fifth-generation fighter, said September 29 Tass source in the military-industrial complex. RAC "MiG" is working on a lightweight fighter of the fifth generation, despite the absence of Ordering. 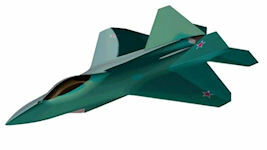 "RAC" MiG "is developing a second version of the PAK FA. It is based on aerodynamic configuration of the MiG-1.44, and those developments that were on this prototype," - a spokesman said. According to him, "it would be an easy option PAK FA" which will not compete with the model T-50, developed by the company "Sukhoi". In June 2015, the RAC "MiG", the corporation continued to work on a light fighter of the fifth generation, in spite of the absence of the order. Earlier it was reported that the platform of the aircraft can be of the MiG-35. In the United Aircraft Corporation stated that the creation of a light fighter was not a priority for the company. A prototype of the MiG-1.44, established in the 1990s in the development of fifth generation fighter, was first introduced on display at MAKS-2015, which was held in August in Moscow. As noted by the corporation, the project will make a big leap in the direction of the fifth generation fighter and inherent in it successfully developed the technology so far. The fuselage of the machine exhibited at the MAKS-2015, made with the use of stealth technology - the plane is covered with a special radar-absorbing layer, and its keels are designed so that the fighter remained invisible to radar. In addition, the location has been changed air intakes, and all the weapons intended to place in the inner compartments. According to sources in the aircraft construction industry, it has made only one prototype test flight. MiG Group launched their MiG 35, and the official claimed that MiG 35 sports performance flexibility, and in a melee fight can be better than the F-35. But the insiders understand that the MiG 35 does not have an overview of the appearance, nor does it try to reduce the radar echo, the radar is not the active array (AESA). As an upgraded MiG 29, it can only have a transitional role. Compared with the 5th generation fighters, the military observers directly criticized the "MiG 35 is not advanced." The MiG Group is also aware of its weaknesses and has proposed the Light Multi-Function Frontal Aircraft (LMFS) program, which is the Lightweight 5th Generation. At present, the MiG Group's new light fighters may be similar in size to the MiG 29, unloaded weight of about 15 tons, full of about 25 tons. If the LMFS fighter uses a twin engine design, Klimov is researching the VK-10M turbofan engine, which is a senior derivative of the RD-33 series used by the MiG 29 fighters, with the largest post-combustion thrust 10 tons, the overall performance of the engine should be similar to the US-made general power F414 level. Sukhoi T-50 is Russia's only fifth-generation survivor fighter program, and if it completes research and development, and the use of AL41 improved engine performance is good, then LMFS may also switch to single-engine design, AL41 after the thrust Known to reach 18 tons. As for the appearance of LMFS, may be a "flat MiG-29". In order to reduce the reflection of the cross-section, without exception, the aircraft design used V-shaped vertical tail. 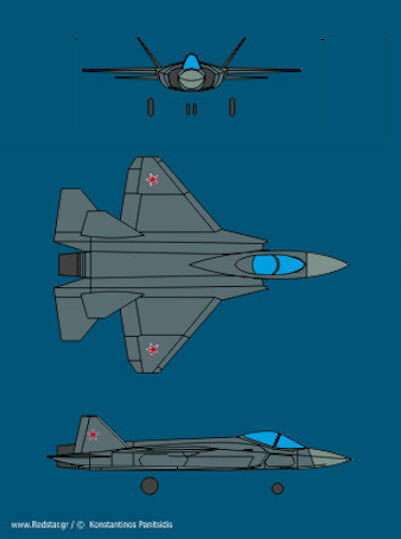 As the F-22 is like "flattened F-15", the T-50 is like the SU-27, then the MiG Group designed LMFS should be like "flat MiG-29". The Russian defense industry lacks a small affordable fighter that can be supplied to countries that cannot afford the export version of the T-50 / Su-57. Countries that in the past purchased MiG-21 or various Chinese copies of this aircraft. However, among those with whom Jane's representatives in Russia managed to communicate, there is an opinion that the development of this type of fighter could be a repetition of the scenario with the Sukhoi Superjet airliner: a lot of money was spent (with a rather mediocre return) in an attempt to copy something already existing on the market, although it was much easier to organize their licensed assembly in Russia (in the case of the Superjet, I mean the Embraer E-Jet series). When I discussed this program with people I knew who were directly working on it, I told them that the plane that they are trying to create and build in Russia already exists and flies in several countries. It's called the Gripen,” added Jane's interlocutor. Like the US Air Force, the Russian Air Force (and the earlier USSR) tried to have a balanced fleet of heavy twin-engined aircraft gaining air superiority and light interceptors that complement them. To maintain such a structure, you need to form a heavy component of the T-50, and the fleet of light fighters, that is, the MiG-29, is also replaced with something - just like the F-35 replaces the F-16. “Small countries with a limited budget may well do without heavy fighters like the Su-30, they are quite suitable for the MiG-21, MiG-29 and the possible continuation of this line. Most likely, the situation is unlikely to change in the future. For example, at the moment India is planning to begin assembling a hundred light fighters under a foreign license, choosing between the American F-16, the Swedish Gripen and the Russian MiG-35. At the same time, it should be noted that the MiG-35 can rather be attributed to middle-class fighter jets, ”says air expert Vladimir Karnozov. This means that in the future RAC "MiG" may be engaged in the creation of a lightweight and, possibly, single-engine fifth generation aircraft. Thirdly, there is a long-standing concept that the number of light fighters should exceed the number of heavy ones. This applies to the Air Force of all major countries, including Russia and the United States. This is due to the fact that the use of expensive and heavy machinery, which has redundant capabilities, to perform a specific task is not profitable. “Many years ago, a concept was adopted in the USA, which implies the presence of 20% of heavy and 80% of light fighters in the park. In accordance with it were developed heavy fighter F-15 and light F-16. A similar approach was adopted by the Soviet Union, which led to the creation of a pair of Su-27 and MiG-29, ”said Karnozov. This ratio changed in favor of heavy vehicles with a large radius of action, which happened in countries with large territories, such as Russia and the United States. At present, the ratio between the F-15 and F-16 in the USAF is 1 to 2. After the Cold War, short range frontal fighters were less relevant to actual requirements. At the same time, the theory of complementarity of heavy and light fighters has not yet been disputed. “A lightweight fighter is necessary first of all for protection, it is not a means of attack. Most likely, it will be a plane that can solve the same tasks as the PAK FA, with the only difference that it will have a smaller radius of action (without refueling in the air), ”the military pilot of the 1st class, Hero of the Soviet Union, State Duma deputy Nikolai Antoshkin. According to Antoshkina, one of the main goals of the program is the creation of an aircraft, including for promising aircraft carriers of the project 23000 Storm, whose construction is planned in 2025-2030. 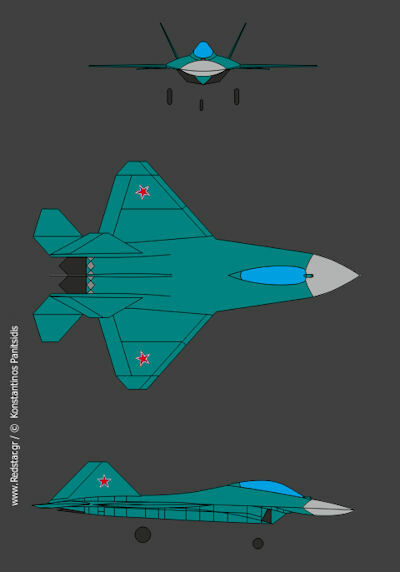 In addition, this fighter can be a cheaper version of the PAK FA.